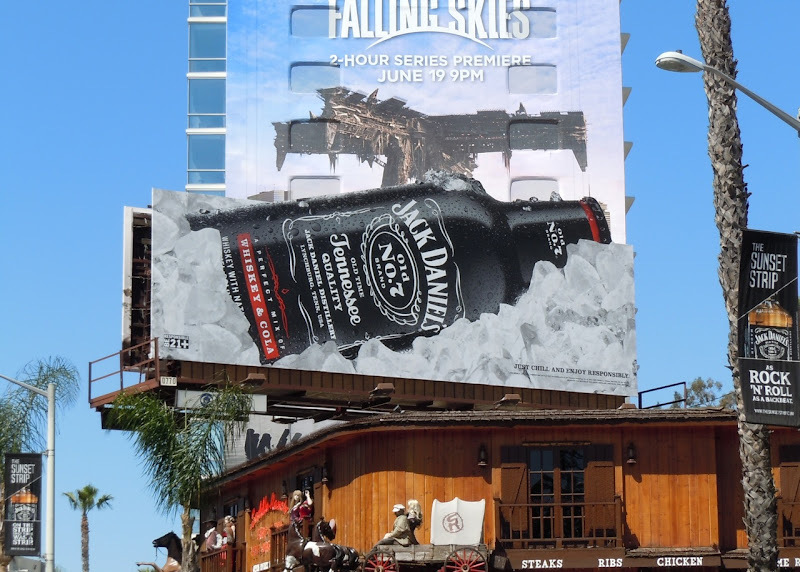 There's nothing like a giant bottle of Jack Daniel's to catch your eye as you travel along L.A.'s infamous Sunset Strip, even if it doesn't come in its signature bottle. Luckily the white out of black label branding is instantly recognisable for this new pre-mixed variant which comes with favourite mixer, Whisky & Cola. 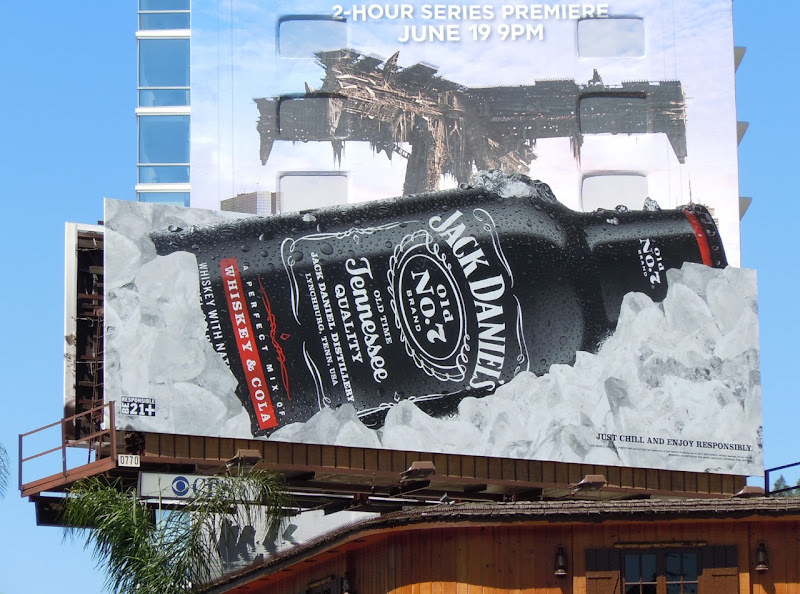 Jack Daniel's purists may be aghast, but this billboard sure does stand out on the rocks. 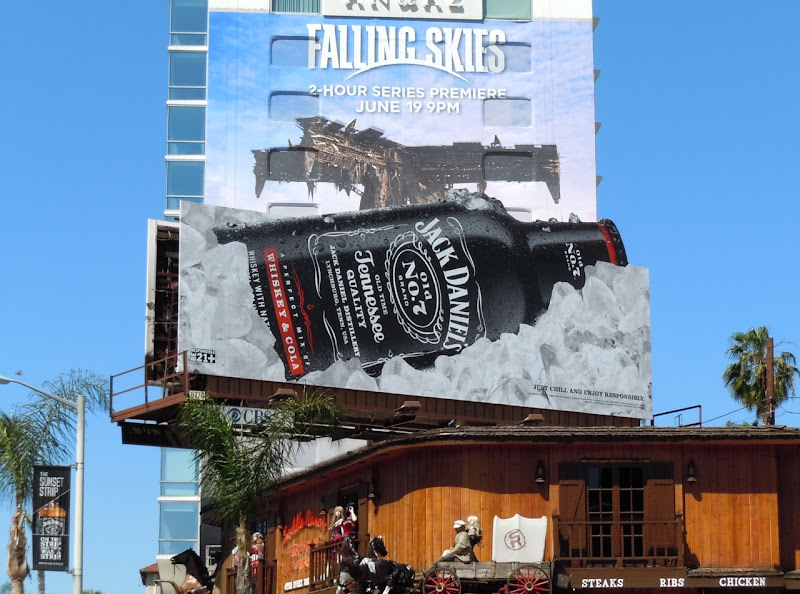 This eye-catching creative was snapped along Sunset Boulevard over the Saddle Ranch Chop House on April 30, 2011.